Home Blog Executive Search Blog How do you choose one Search Consultant over another? Digital transformation is no longer the sole domain of IT developers and coders. The evolution towards digital solutions is beginning to encompass all industries. Companies that hop on this train early can expect to see themselves pull ahead in terms of operational efficiency. However, embracing digital transformation comes with several challenges, including significant changes in mentality. A key to navigating these challenges is having a leader at the helm that understands disruptive transformation. The CEO already has a vision for the company but needs the endorsement of external, credible consultants to blame if things go awry. The board is out of ideas and doesn’t know how to jumpstart transformation. Now, they expect someone else to do it for them. In today’s business environment, it’s likely that neither of these reasons will bring about the desired outcome. What’s more, if either of the above are a company’s reason to hiring external consultants, I’d be a very unhappy shareholder (and probably want the CEO or board fired). Leaders that understand the company, its culture, and its vision are the best suited to guide it through the digital transformation process. But what qualities are essential for digital transformation? A Leapfrogging Mindset. 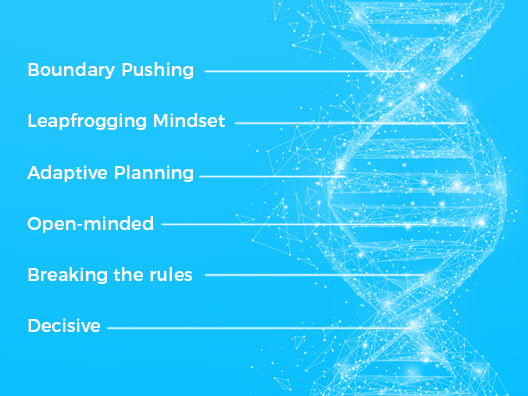 Disruptive innovators require a mindset focused on leapfrogging – creating or doing something radically new or different that produces a significant leap forward. Disruptive leaders ensure that everything they do adds value to the market. Boundary Pushing. For companies, it is important that leaders understand how to continually push the limits of their teams, organizations, and partners. On a more personal level, disruptive leaders should also push boundaries. I believe that leaders who travel a lot, surrounding themselves with diverse people and entrepreneurs, are able to continually expand their mindset and creative problem solving abilities. Adaptive Planning. Disruptive leaders manage incredible levels of uncertainty. Adaptive planning is an approach where actions lead to results and leaders take the opportunity to reflect on and learn from these actions and results. Then, they can modify their assumptions and approaches accordingly. Break the rules & write new ones. . The word “normal” doesn’t exist in a disruptive leader’s vocabulary. Once something has become normal, it’s probably obsolete. The market is constantly changing and a disruptive leader is always aiming to be at its forefront. Sometimes that means breaking the rules; indeed, disruptive leaders nurture a healthy scepticism of best practices. Open-minded. Leaders should be open to exploring new opportunities, technologies, tools, and markets to evaluate where they have the greatest opportunity to succeed. Decisive. Even if some decisions involve “gut feels,” disruptive leaders need to tell their teams precisely what they want, when, and why. Then, they have to help them make it happen. The reality is that people with this type of mindset, approach and attitude are rare. It can also be challenging for them to find a place that enables them to perform their best. 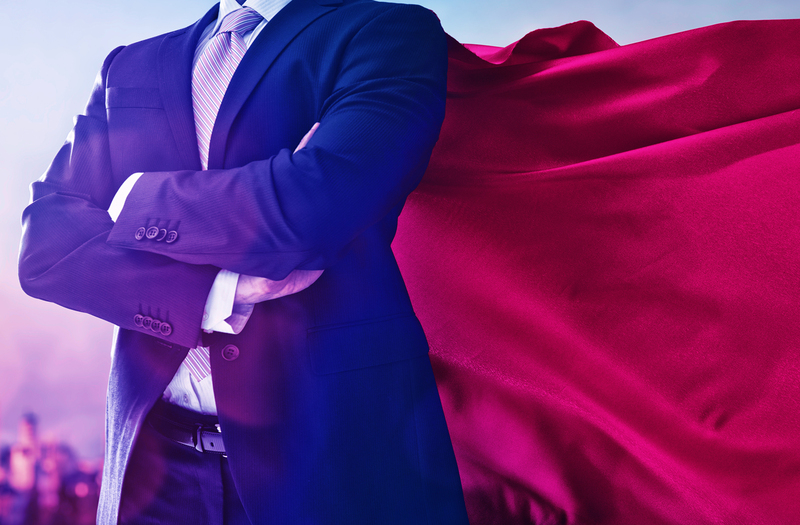 Whether you search for such a candidate on your own or in conjunction with an executive search firm, I recommend keeping these six qualities in mind to find a leader that can take on the nuanced, every-changing world of digital transformation. I have two final pieces of advice. First, do not rely on a lucky shot and try to leverage traditional “Old boys networks” – only a thorough process will ensure success. Second, do not hastily cast aside candidates on the basis of a CV or LinkedIn profile: a hidden gem is out there and is up to you to discover him or her, which is, by the way, the fun part.